If you would have asked me ten years ago whether I believed I could earn a full-time income–one that would allow my husband to become a stay-at-home dad–I would have probably laughed you right out of the room. Even just five years ago, after I started writing LWSL, when I told my husband I wanted to make enough money from blogging that he would be able quit his job, he did laugh me right out of the room. It sounded crazy. In fact, sometimes it still sounds crazy. Not a day goes by that I don’t realize what an amazing privilege it is to be able to work at a job I absolutely love, one I am totally passionate about, and wholly devoted to, one that that gives me flexibility and freedom and one that changes every day. I feel so fortunate to live in a world where opportunities to support our families and make a living are literally right in front of us—right in our own home. And while my own business is based on blogging, starting a blog is only one way to earn money from home! There are an almost infinite number of legitimate opportunities available for starting a home-based business, whether you are looking or a career change, want to supplement your current budget, or want to save for a specific purpose, such as building an emergency fund. Keep in mind that making a living from home is NOT easy. It requires self-motivation, organization and lots of focus. It also requires plenty of drive and the ability to keep going, even when you feel like quitting, or when others question why you are spending so much time on something that might not work. 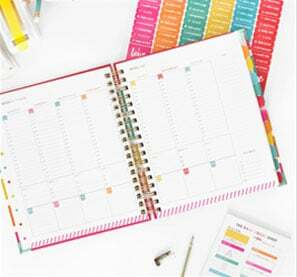 Before you begin, assess your talents, your network and your organizational skills—it’s the best way to figure out what money-making at-home activities will work best for you. You may even want to consider taking a personality test for additional insight into your strengths and weaknesses. If you think you’ve got what it takes to start your own business, you can take our pro-blogger personality quiz here. You will also need to consider how much time you have available, how much money you’re willing to invest into a business, and how much risk you are willing to take. After all, with greater risk comes greater reward, but also a bigger chance for disaster. You knew I had to start here, right? Given the success of Living Well Spending Less, I am a huge proponent of blogging. Not only is it fun and interesting, it is always changing–I am never bored! That said, it is by no means easy money. Blogging takes a lot of work, strategy and effort to get started. Sometimes it can take years before you see the results of that hard work. The most important driver is choosing a topic both you and your audience is passionate about, and then working to connect with readers and solve their problems. When I started my blog in 2010, there weren’t a lot of resources out there to get started. In fact, I often felt as though I was throwing things at the wall, just to see what would stick. Now, years later, I’ve learned some very important lessons. I founded Elite Blog Academy® to share those lessons and give new bloggers all the steps and insight they need to take their blog to the next level. 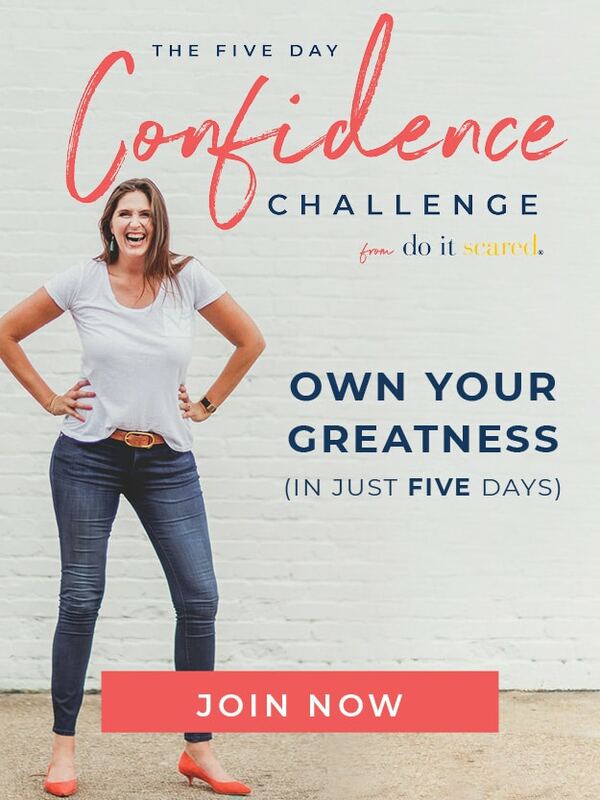 In the course, I walk you through every step, from discovering and connecting with your audience and creating your cornerstone content, to running a thriving business. I’ve worked with many other successful bloggers to discover what works and what you need to know to be successful. If you have good verbal and technical skills, are extremely organized, and understand the responsibilities of blogging or running your own business, there are plenty of business owners who could use your help! A virtual assistant helps other business owners stay organized, answer emails, manage their schedule, book travel, proofread documents, and perform any other number of tasks that can be done from home. 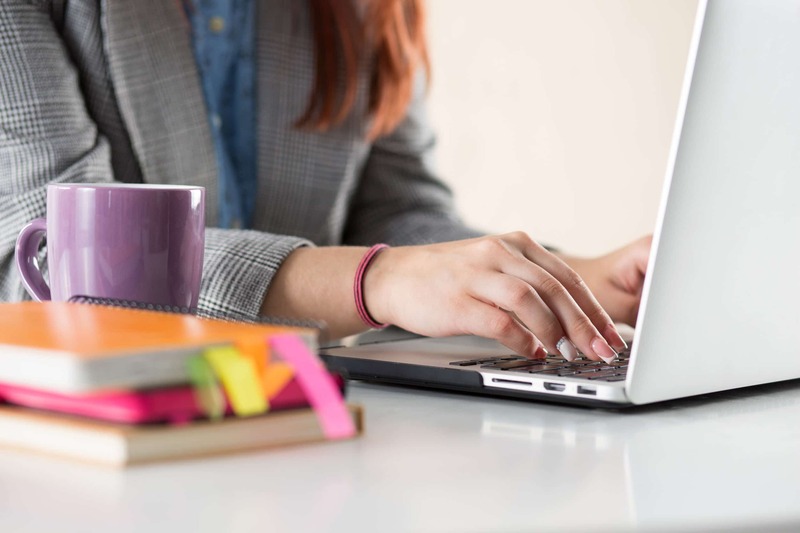 Lisa Morosky’s book, The Bootstrap VA, is a fantastic resource, as is Gina Horkey’s online course, “30 Days or Less to Virtual Assistant Success,” which will walk you through, step by step, everything you need to know. You may also want to consider applying to work for an established virtual assistant company, such as BELAY Solutions, Leverage or Fancy Hands. You can also set up your own freelance profile and apply to jobs on upwork. While multi-level-marketing (MLM) companies sometimes get a bad rap, they can actually be a great way to earn additional income from home, as well as an excuse to connect with other people, and even a chance to earn trips and other rewards. MLM opportunities run the gamut of interests from nails (Jamberry) to cooking tools (Pampered Chef) to scented oil warmers (Scentsy) to purses (31 Bags). If you’re very organized, enjoy connecting with other people, and have a strong network of interested friends and family members, multi-level marketing might be right for you. However, there can be some serious drawbacks. If you are considering getting involved with a MLM, definitely do your research to make sure the company is reputable, has been around for at least five years, and doesn’t have any minimum sales requirements. Are you crafty or an expert garage-saler? Do you have an eye for graphic design? Ever heard, “you should sell these” after giving a handmade gift? You may want to consider setting up an Etsy shop. The most successful Etsy shop owners treat their business like a real storefront. Present your products in a loving and beautiful way and use great photography to showcase your handiwork. To determine the cost of your products, first be sure you’re offering value to the buyer (and that you’re making a profit). Don’t forget to consider shipping and other fees. 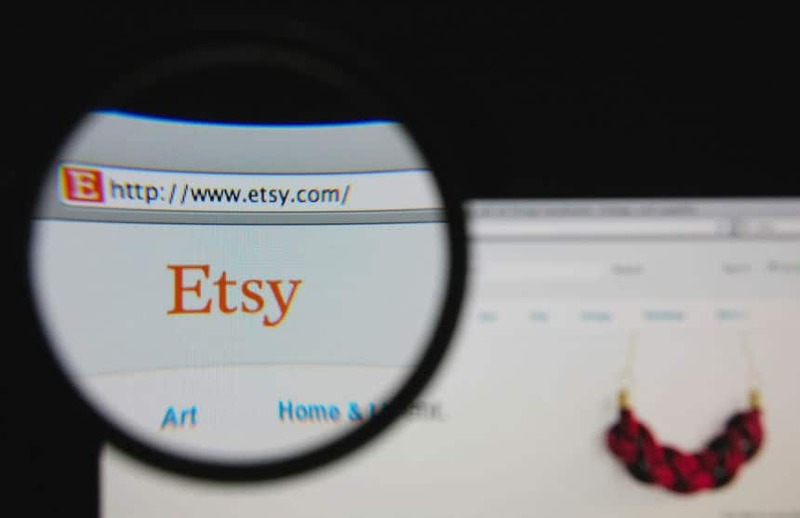 To be successful on Etsy, offer a truly unique product—yes, that something special. While everyday beaded earrings can be lovely, your handcrafted jewelry should fit a unique niche and be crafted with an idea in mind that’s original to you. Look at your shop as a buyer would, and make sure you use descriptors and language that accurately portrays the product. Running a full eBay store takes time and energy—and it can be tough to get started. However, if you want to make money selling your collector items, handbags, unique small antiques or other sellables, eBay can be a great resource! First, gather the items you’re hoping to unload. Next, determine if eBay is the right place to sell those particular items. If you’ve bought and sold on eBay before, you should have a rating—and (assuming it’s good) that will help you immensely. Try to focus on small, easy-to-ship and collectable items. Visiting the relatives? Family vacation? Why not make some extra money when you’re away from home? If your house is already kid-proof and kid-friendly due to your own little ones, try Kid & Coe. It’s just like Airbnb.com (another well-known home rental site), except all residences are for families traveling with children. You set your rates and you pick your guests. Depending upon where you live, you can make a pretty penny renting out your house for a few days or a few weeks. If you have an extra, idle car that spends a lot of time taking up space, why not put it to use? List your car for rent on TURO. Set your own availability, then qualified renters work on your schedule, so you don’t have to worry. In certain markets, if you’re not using your car at all (or perhaps you or your spouse are traveling for the week), you can simply park your car at the airport for guaranteed money just for parking your car. If you’re going for a clutter-free life, this option isn’t for you. But if you have an extra bedroom, or extra attic, garage or shed space, try renting it out. This could be as simple as posting an ad on Craigslist. There’s a ‘parking/storage’ category for every major city, so you can easily research what space is going for in your area. This option also allows you to create a reliable passive income stream. Regular, monthly cash with minimal work? Sounds good to me! Becoming a certified daycare provider requires a lot of documentation and regulation, plus, it’s a huge responsibility. Federal law requires that each state has guidelines in place for certified home child care providers, so be aware that each state’s licensing requirements are different. To learn about child care in your state, start by looking it up on this NACCRRA map. You can also learn more about licensing here. That said, you don’t usually need a license if you care for children related to you or for children from only one other family. (But again, check guidelines in your state.) To run a preschool or nursery school from home, you’ll need to have both state certification and an early childcare license. If you have children at home already or if you stay at home all day, watching kids can be a great source of extra cash. You can also start child care sharing with other moms who may want to trade off days (saving YOU money on child care, too). You can list your child care services on Care.com to be more easily found by moms in your area. If you have your own dog or if you’re looking to get some extra exercise, consider offering a dog-walking service. While this isn’t a huge income-earner, you can still earn $50-100 per week just by picking up a few pups. Dog owners who travel or work long hours often have a hard time finding someone to care for their pet when they are away, so offering a consistent, reliable service will be greatly appreciated! To start your dog walking service, all you need is a good demeanor with animals and a willingness to be consistent. It can be a great opportunity to get in your exercise and you’ll have a companion for your afternoon walks. Find opportunities on Craigslist or simply strike up conversations with dog owners in your area. While it might not be something you can do “from home” per se, you can earn some fast cash by offering to tidy up friends’ and neighbors’ homes once a week. If you want to keep things casual, simply put yourself out there by word-of-mouth. You can also try local advertising (think church bulletin or daycare center newsletter) to land a few houses. Get creative and search your bag of talents to find things you can share with others, then seek out places where people want to learn. If you play a musical instrument, sew or have another teachable talent, offer your services to a few students per week from your home. It can be fun, and you’ll love the opportunity to revisit the hobbies you enjoy. You can also offer tutoring services from your home. Check with local schools and private instructors in your area. See if they have any struggling students who could benefit from some one-on-one assistance. You don’t have to be a teaching expert to help a first or second grader with reading and mathematics, but time-strapped parents will be grateful for the help. If you’re a former professional or if you have a lot of social media savvy, consider reaching out to businesses who need a little of your expertise. A word of warning: social media consultants are a dime-a-dozen right now and promoting yourself as an expert can be tricky, especially because the latest trends in social media are ever-changing. Tax services, billing/clerical/administrative work and research can all be done from home, if you have the know-how. Network with professional connections and friends. Chances are, someone is just waiting for you to offer a little assistance (and they’ll be willing to pay for it). If you’re a skilled writer, designer or photographer, consider freelance work. Many business and individuals seek out content writers, contributors and journalists to help craft their message and document their products. For those who love to write but aren’t ready for their own blog, freelance is a great option to test the waters. Check out the opportunities on ProBlogger or JournalismJobs.com, especially if you enjoy technical writing. Those with graphic design skills, can also seek positions through sites like 99designs, FlexJobs and Upwork. Opportunities may range from designing logos, packaging and branded merchandise, to polishing presentations and marketing materials. Photographers may find opportunities to create stock photos for sites such as Shutterstock or iStockphoto by Getty Images. Companies and bloggers often seek photographers to capture recipes, products and other images for their websites. Freelance work provides lucrative opportunities to work at home and be your own boss. Have you ever been aggravated after calling a company and getting horrible customer service or technical support? Wouldn’t it be nice to change that experience for someone else? You actually can! 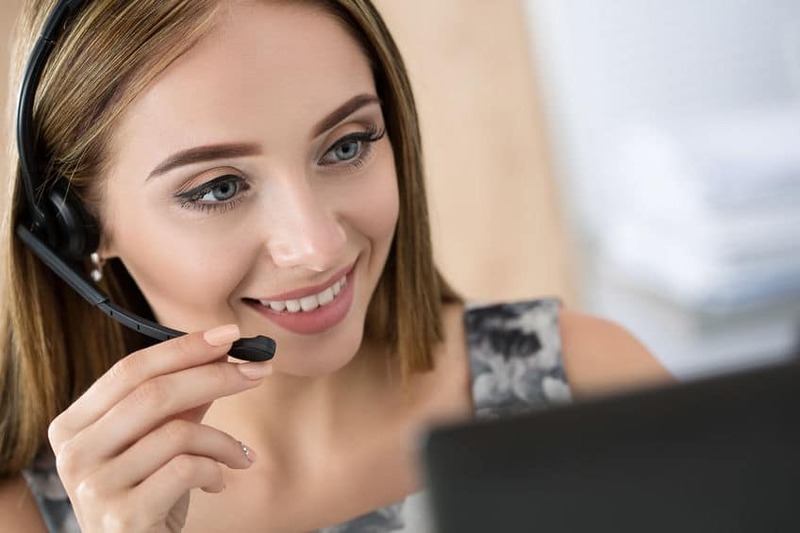 While there are a lot of unscrupulous companies offering “call center jobs from home,” there are also some legitimate companies offering call center tech support and customer service opportunities. Apple-at-Home and Accolade that you may want to check out. If you’re bilingual and you have experience with certain types of software or technology products and a landline, these jobs can pay $10-$20 per hour—a fun way to earn a little extra income. There are a plethora of training programs and advertisements about how “easy” it is to do medical transcription from home and for profit, but the truth is that it’s not easy at all. You’ll need specific training and classes can cost $3000+. Once you’ve completed the classes, you may find it difficult to find work-from-home transcription opportunities—especially nowadays with plenty of voice-recognition and transcription software out there. However, if you’re determined that medical transcription and editing is right for you, here are some tips… Consider joining your local AHDI (Association for Healthcare Documentation Integrity) and networking with other professional transcribers in your area. Getting in with a healthcare group or hospital can help you find opportunities. Approaching your earning with purpose, research and integrity will help you avoid those who might take advantage of you. Always investigate opportunities with a critical eye and consult with other experts who’ve been successful earners, whether it’s through blogging, Etsy, or even dog walking. Find your opportunity and bring home a little extra bacon right FROM home, today! While many of the ideas listed require quite a bit of effort and some serious commitment (not to mention time, and in some cases, even money or additional education), if your goal is simply to earn a few extra dollars in spending money, there are some relatively painless ways to earn money or gift cards online. Companies like Inbox Dollars and Swagbucks allow you to earn cash or points for searching online, completing surveys, or even by shopping. You can also earn cash back when you shop online through Ebates. There are also some great apps that allow you to earn rewards as well. For instance, Ohmconnect is a free app pays you just for reducing your energy usage. You can make between $50 and $150 per year (yes, they pay you just to turn off the lights! ), plus you get cool tools for analyzing your home energy use, allowing you to save BIG on your utility bills, too! Viggle is an app that lets you earn points for watching TV, while Ibotta offers cash rewards AND helps you save on groceries. Some great tips. I am obsessed with selling things we don’t use on eBay. Great info – thanks, Ruth. Pet sitting/dog walking/boarding can be a very lucrative, rewarding career. Is one thing in your list that I can speak to w/26 years experience! Am looking forward to moving into blogging world now. Hope to be able to get into your next EBA classes. Checked my DOSH earlier… $50. All you have to do is sign up, link your debit or credit card, whichever you use the most, and start saving. You get $5 each time a friend uses your referral code and links their card. My friend got over $100. It’s legit guys. Sign up on my link below. These are great! I wish I was a better photographer. I’ve had some great success with Fluidmarket renting to my neighbors. It’s easy, and everything is insured. My pickup truck and stand up paddle board (SUP) do really well during the summer months. Then Rengalife is for you! New network marketing company but not new products! its distributor branch to the public. Join now as a founder while seats are still open and directly become a partner with Rengalife. This is a ground level opportunity to be at the very top, first. Such a great article! My newest hobby is participating in online surveys and turns out that this kind of hobby can bring you benefits such as cash and free product samples. Great informative post! I use to sell my old stuff on marketplaces like ExportHub and Alibaba. Thank you for great ideas, I loved that you have included ways that don’t cost money to begin with or cost fair price. Actually it is great there are so many ways to earn money from home, so anyone whon is interested in starting an online business can find the best model that suits themselves. Great ideas. Some are new to me. I took some notes to follow up! 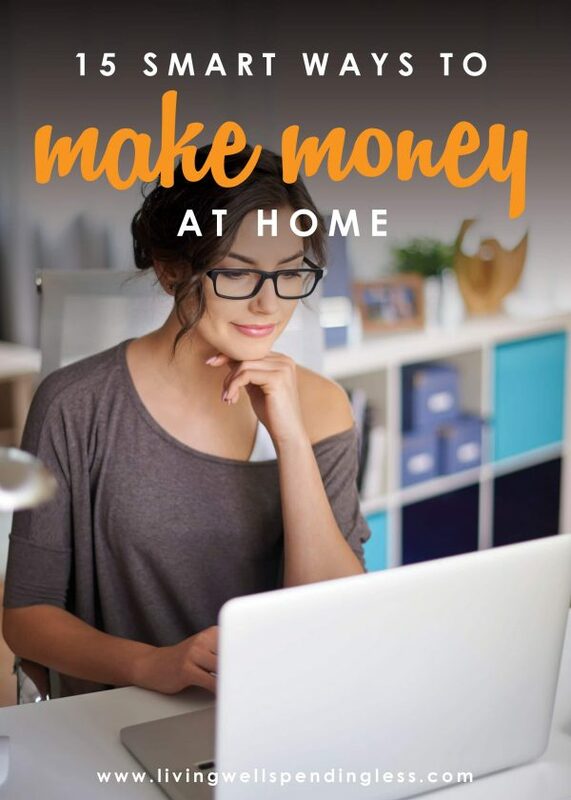 These are some great tips for making money from home. You can get a lot of “make money online” info at the new Money Directory at http://money.madbeetech.com. Every member’s directory listing sells inexpensive ebooks and videos on some topic of making money, and those files are available for instant download. Nice ideas to earn money form home, i hope this article will help but it need some time to develop the things work. Amazed at the ideas given by you Ruth. But I don’t know how i am going to use it. These are really great options. Thank you for sharing.But what worked for me is doing marketing just like this https://bit.ly/2BLaaRk. Time and dedication are the complete duo for success. I have another one, similar to a blog writing, but a more challenging one. If you have a degree in any field of science, but you’d like to start working from home. You can write assignments or essays for students. As an option, you can co-work with a writing service like this https://www.theunitutor.com/ where you can expand your knowledge writing professional essays or even courseworks and dissertations from home. Selling products and blogging are the best ways to earn money from home. If you have good products (made by you) then you can sell them on the internet and promote them on your blog too. You can also take a little help from websites which offer product review and giveaway services. Reason good ideas, thanks for the post. Thanks for good ideas. I will try some for myself for sure. Hope it will bring me some extra money. Thanks for good ideas. Some of them are interesting options for me. Some of your ways are actually really efficient in terms of working but some take a bit time and works surely. Moving items and blogging are the most ideal approaches to acquire cash from home. In the event that you have great items (made by you) at that point, you can move them on the web and advance them on your blog as well. You can likewise take a little assistance from sites which offer item audit and giveaway administrations.